NEW ORLEANS (Legal Newsline) - A federal appeals court has affirmed a bankrupt company's request for summary judgment, arguing the asbestos claim filed against Placid Oil Company was discharged as claimants were given sufficient notice of the 1987 bar date. 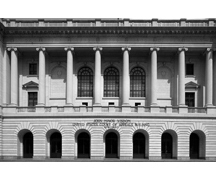 U.S. Court of Appeals for the Fifth Circuit Judge Emilio M. Garza delivered the opinion on May 27 with Judge Eugene Davis concurring in the decision. The majority affirmed the bankruptcy court's conclusion that the plaintiffs were unknown creditors whose pre-petition claims were discharged by Placid's sufficient notice of the bar date in the Wall Street Journal. Judge James L. Dennis dissented, concluding that the methods of informing potential, unknown creditors of the bankruptcy bar date was insufficient because future asbestos claimants were unaware of their exposure and possible illness at the time of the notice. "[C]onstructive notice by publication to asbestos-exposed individuals with unmanifested or latent mesothelioma, without appointment of a representative for such future claimants, does not satisfy due process," Dennis wrote. Plaintiffs Jimmy Williams, Sr., Jimmy Williams, Jr., Dalton Glen Williams, Jeanette Williams Shows and Gwendolyn Williams Peacock originally filed their lawsuit in a Louisiana state court in March 2004 on behalf of Myra Williams, deceased. Placid, a Texas company, owned and operated a large natural gas production and processing facility near Black Lake, La. It was blamed for contributing to Myra Williams's death in the lawsuit. Williams' husband worked at the Black Lake facility from 1966 to 1995 and was exposed to asbestos-containing insulation during his work. Williams was then allegedly exposed to the asbestos dust and fibers while laundering her husband's clothing. Williams was diagnosed with asbestos-related lung cancer and mesothelioma and died from her illness on Aug. 9, 2003. Garza wrote that prior to Placid's plan confirmation, no asbestos-related claims had been filed against the company, and the plaintiffs failed to file a proof of claim. Then after the plan's confirmation, other plaintiffs brought asbestos lawsuits against Placid, but it was never found liable and never settled in any of the claims. However, Placid filed for bankruptcy in 1986. The bankruptcy court set Jan. 31, 1987, as the bar date by which potential creditors were required to file claims. As part of its obligations, Placid published three separate notices of the bar date in the Wall Street Journal informing creditors of the existence of the bankruptcy case, their opportunity to file proofs of claim, relevant deadlines, consequences of not filing a proof of claim and how to file a proof of claim. By Sept. 30, 1988, Placid confirmed its Fourth Amended Plan of Reorganization, providing that all claims against Placid that arose on or before the confirmation date were forever discharged except for Placid's obligations under the plan, which did not mention potential future asbestos liability claims. In response to the lawsuit, Placid requested to reopen its bankruptcy case in November 2008. Then in September 2009, Placid filed a complaint asking the bankruptcy court to determine whether the plaintiffs' claims were discharged. The bankruptcy court eventually granted Placid's request for summary judgment, concluding that the plaintiffs had pre-confirmation claims and that the claims were discharged by Placid's notice in the Wall Street Journal. In the plaintiffs' appeal, they first argued that the bankruptcy court erred by considering them "unknown" creditors, meaning the constructive notice of the bar date satisfied due process. A debtor is required to provide actual notice to "known" creditors in order to discharge their claims, which include claimants actually known to the debtor and those who are "reasonably ascertainable." On the other hand, Garza wrote, debtors only need to provide "unknown creditors" with constructive notice through publication, meaning the Wall Street Journal notices were sufficient. "Unknown creditors" include those whose "interests are either conjectural or future or, although they could be discovered upon investigation, do not in due course of business come to knowledge [of the debtor]," the opinion states. The court concluded that claimants must be reasonably ascertainable, not reasonably foreseeable. Therefore, the court must determine that a debtor has specific information related to a claimant's actual injury. Information only suggesting a claim is foreseeable is insufficient. Garza added that while Placid knew of the asbestos-related dangers, such information only suggested a risk to the plaintiffs and does not make them known creditors. "Here, Placid had no specific knowledge of any actual injury to the Williams prior to its bankruptcy plan's confirmation," he wrote. The plaintiffs also argued that even if they were unknown creditors, Placid's general notices of the bar date were insufficient for due process purposes. However, Garza wrote that neither the Bankruptcy Code nor the Rules require bar date notices to apprise creditors of potential claims. "We hold that because a bar date notice need not inform unknown claimants of the nature of their potential claims, Placid's notices were substantively sufficient to satisfy due process," Garza wrote. "We decline to articulate a new rule that would require more specific notice for unknown, potential asbestos claimants," he continued. Dennis, however, disagreed with the majority, saying the underlying legal issue in the case is whether a bankruptcy court may hold that a wrongful death asbestos lawsuit was discharged in a bankruptcy filed by a housewife's husband's former employer 15 years before she was aware of any symptoms of her mesothelioma. "In my view, the bankruptcy court in this case erred in failing to recognize that such a result would violate the constitutional guarantee of due process of law," Dennis wrote. On appeal, the plaintiffs only addressed the issue of whether the constructive notice by publication provided to unknown, future claimants passed constitutional muster, he explained. Although, Dennis explained that the case at hand goes beyond the plaintiffs' concern regarding the method of notice, saying the alleged error "cannot adequately be addressed without considering a more fundamental due process issue whether a latent asbestos claim of an asbestos-exposed, but not yet knowingly injured, person is dischargeable in bankruptcy and, if so, under what circumstances." "Therefore, I believe that the plaintiffs have sufficiently preserved and argued all such errors for our review," he continued. "Even if the majority of this panel refuses to grant he plaintiffs relief because of their deficient appellate briefing, this panel still owes a duty to oversee the orderly development of our jurisprudence, and a duty to future victims of mesothelioma and other latent diseases, to acknowledge and correct, rather than to paper over, the errors plainly evident in the bankruptcy court's decision below." Dennis explained that the constitution only requires notice to interested parties of the pending action so they have an opportunity to object. Dennis argued the majority misrepresented the Lamelle and Mullane decisions, which did not address whether an unknown, future claim was dischargeable in bankruptcy. "Not only has the court never endorsed such an approach, but a majority of the court has also strongly indicated that requiring only constructive notice to individuals exposed to asbestos but who do not know about either their exposure or the harm that may result would present grave problems," he explained. Dennis added that unknown, future claimants often don't recognize that their rights will be affected by a bankruptcy proceeding. They may be unaware that they were exposed to asbestos because an asbestos-related disease hadn't manifested by the time the debtor files for bankruptcy. "'Even if they fully appreciate the significance of [the] notice, those without current afflictions may not have the information or foresight needed to decide, intelligently, whether' to participate in the bankruptcy," he stated. Thus, these future claimants cannot make decisions regarding how to assert a claim and are, therefore, "'incompetent' for purpose of the bankruptcy case." Consequently, Dennis argued that publication is basically no notice at all if the future claimants do not know their claims. As a result, Dennis argues the bankruptcy should have appointed a Future Claims Representative to represent the interests of unaware victims, like the plaintiffs in this case.